As we age, the natural lens in the eye becomes rigid and cloudy. This causes blurring and difficulty seeing in dim lighting or glare from bright lights. This development is the formation of cataracts, and happens to most people over time. Luckily cataract surgery is a simple outpatient procedure performed on more than 2 million people a year. Cataract surgery is the most common surgery performed in the U.S. When it is time for cataract surgery, you and your surgeon will choose a new replacement lens that is right for you. Cataract surgery gives you the opportunity to maximize your vision potential and improve your quality of life. Traditional cataract surgery uses a monofocal, or single focus lens intraocular implant (IOL). This lens can improve either distance or near vision, but usually not both. For those people who do not mind wearing glasses, or who have other eye health issues, a conventional IOL may be the best option. Some patients who have adapted to wearing monovision contact lenses, where one eye is used for distance, and one eye is used for near tasks, will choose to have monovision IOLs. Until recently, Medicare would not allow people to pay the extra cost of new technology lenses. That rule has changed, allowing you to choose an advanced lens implant and only pay the cost difference between a traditional cataract implant, and the lens of your choice. When light enters the eye, it first travels through the cornea. The cornea is normally spherical, and light enters in one direction. In an astigmatic cornea, there are flat and steep areas, causing the light to be misdirected in the eye. Toric IOLs are designed to reduce or neutralize corneal astigmatism and significantly improve uncorrected vision. Each lens is specially selected to correct your personal astigmatism. 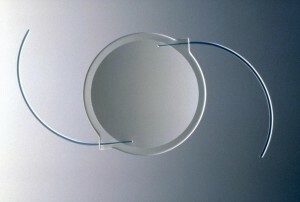 In some cases, a toric IOL can reduce your dependency on glasses or contact lenses. The muscles in the eye flex and relax to provide us with accomodation. This abilitiy is gradually lost as we age, and the lens becomes less flexible. Working like a natural lens, the accommodating IOL has a hinged design to allows the part of the lens you see through to adjust and move to focus over a broad range of distances. This is the only lens that provides a single focal point from far to near. 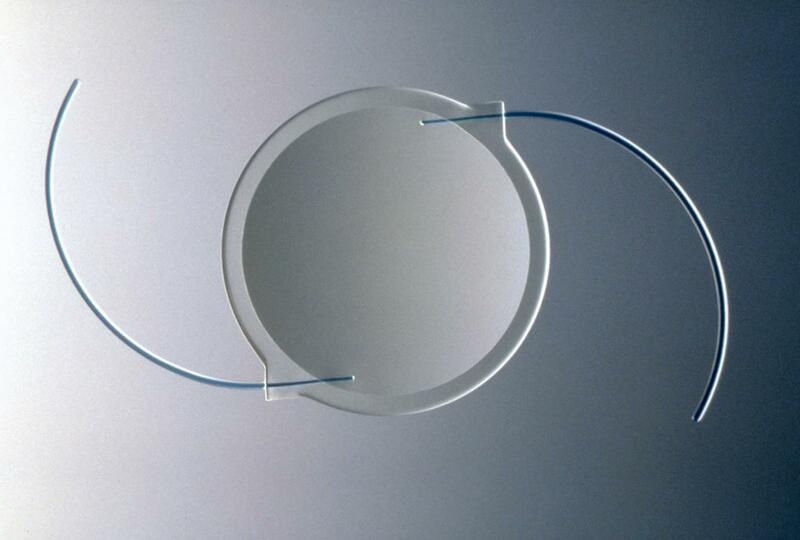 The crystalens HD™ IOL is the only FDA approved accommodating intraocular lens. The ReSTOR™ lens has a central region called an optic. The optic consists of blended circles which work together through a unique process called apodization. During this process, light is focused within the eye to accommodate both near and far objects, thereby enhancing near, intermediate, and distant vision.